We can learn lessons in life, even when we think we are old enough to have learned all of them. This past weekend, my niece flew in town, for about 2 hours of business and then spent time with her family who lives in this area. She is a fireball and loves to go and do, and experience things. Things I take for granted for having lived here in Utah, she thrives on and does as much as she has time for when she comes in town. She is so thoughtful. She really thinks and goes beyond simple thoughts and really gets to the core of needs and nurturing. Because this months Visiting Teaching lesson is on Nurturing others, I thought I would share some of the things I learned by listening and watching my niece in action. Her first thoughtful deed was to pick up her Grandmother and take her up to the Mormon Tabernacle Choir concert in SLC. My mother can barely get around so she was paitent and listened to the fears my mother had drove alittle slower to make Grandma feel more comfortable. My niece found out that her grandmother had never been to a Motab concert in all the 77 years she had lived in Utah. What a wonderful surprise and t thoughtful gift for Grandma. This niece just lost her grandmother on her fathers side a couple weeks ago. She expressed to me thoughts and ideas of what she can do to help those family members to overcome the sadness they feel for the loss. Her father slipped and fell on the ice a couple days ago and she thought about her mother having to shovel the snow because her dad couldn't. She decided to take action and made a few phone calls and is hiring someone to keep her parents walks and driveways cleared from snow. I would have never even though about this kind of deed as my sister lives so far away in a distant state, but her daughter knew just what to do and did it. I have thought about all the meals, and treats I have taken in to people when they were sick, wanting to do something, but I think that though meals do help, there are other deeds of kindness that can be done. We need to think alittle deeper and I have no doubt that we can come up with acts of service to help, just like my niece did for her parents. Well, I need to stop now, but I will add to these thoughts. Maybe you could to. Do you have ideas to help others that may need help during this Christmas season? Shut ins, Old folk, young folk with husband who travel and are not home to help with all the needs of maintaining a house, or whatever else you can think of. Wouldn't it be great to just bless the lives of others in different ways. It doesn't have to be monitary, but just acts of kindness, and nurturing the needs of others. Feel free to make comments and share. Hear the words of the living prophets. There is no question in my mind, that we who call ourselves Mormons, members of the Church of Jesus Christ of Latter Day Saints are indeed Christians. Those who would say otherwise remind me of the words my Savior, Jesus Christ spoke as He hung upon the cross... "Father forgive them, for they know not what they do." This same Jesus Christ attoned for my sins, and died that we all might live. "This Easter and throughout the year, may we have uppermost in our minds His divine teachings, the unparalleled example of His pure love, and His willing sacrifice of self to accomplish the holy purposes of God, the Eternal Father." The First Presidency of the Church of Jesus Christ of Latter day Saints"
This short video is an Important message from the mouths of our Prophets! My sister sent this to me today and I feel like it is an important enough message, that I wanted to share it with all of my blog readership. The words spoken are directly out of the mouths of our Prophets, past and present. Hear them, heed them. Love, Katie G.
Click on the picture and it will take you to the last post. Did you get your Visiting Teaching done by today? If not, just keep on trying, just like the pioneers. I would love to hear what you have learned from these wonderful Pioneer Women's stories. I know that I have learned alot about sacrifice, and persecutions of the early saints, and of a strong testimony that these Pioneers had to have to endure all that they did, and gave in establishing zion. Once again, I say, Blessed, honored Pioneer! If you would like to comment, please email me at ktgauger@gmail.com or click on the link and comment on the last story. Happy Pioneer Day! Love, Katie G.
Copy and paste into your address bar and this will take you to the story of Maggie Anna Ferrell Orr, another of the wonderful Pioneering Women. By now you should be alittle curious about your pioneer heritage. Do you want to find out if you have Pioneer ancestry. 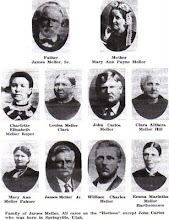 This site is most useful to those who have had members of their family tree that belonged to the Church of Jesus Christ of Latter-day Saints during the Mormon migration period of 1847-1868. By the way, the goal for this Pioneer Women Journey is about to reach it's end. You only have one more day to do your Visiting teaching, before the 24th of July, which was the goal. You still have time to push the proverbial handcart up the hill, so get out and get it done. Share a pioneer story with your sisters, and you have pleanty to choose from right on this site. My broken wagon wheel, hath bit the dust! Wo is me, I am so behind on my own treck of keeping up wonderful Pioneer women posts. Actually I have a great excuse, and almost made it when I realized how little I have to complain about. Ok, so I am going to tell you anyway. My air conditioning has been off for 6 days now, and I am having to live in my basement, though my computer in upstairs. It is ten degrees cooler in the basement, but my main floor has been up to 92 degrees inside my house. Wo is me.... and what do I have to moan about. 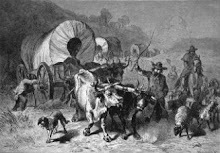 I began thinking about the pioneers in their covered wagons, crossing the hot, hot prairie, and their only hope of relief from the blazing sun is the cool shade of a tree, or a stream, or night time if it cooled off enough for them to actually sleep. I have not slept well until I decided to go in the basement. Wo is me. What do I have to complain about. I have been so sick from the heat and a medication change that I have been nauseated all day long. So what do I do... hop in my car and go to Walgreens and get some acupressure wrist bands that took away some of my nausea. Wo is me, but what do I have to complain about.... the pioneer women suffered without any relief. If herbs didn't work for them, or if they didn't have access to them, they just suffered. I feel so blessed to live in this day and age where even if I have to be inconvienenced by having no air conditioning, I still can go in my basement, or hop in my car and turn up the air full blast, or just drive down to a store and walk around and shop, or even go to the pool and cool down that way. You know that poem.... "Father forgive me when I whine, I have two legs, the world is mine"? I have no reason to complain, but you still didn't get the updates on the Pioneer women because I am still too sick and hot to stay upstairs long enough to do them. Count this one as an update and count your blessings along with me. The wagon might be broke for a bit, but once the wheel is back on, the wagon will keep on rollin. Now, I am going to hurry back down stairs and try to replenish the sweat that is pouring off my face and body with gatorade. Don't give up on me, I will be back! Love, Katie G.
This story is told through the eyes of Julia's husband. It is a short but touching story, all to familiar to Pioneers. Click on the image and you will be directed to the story. 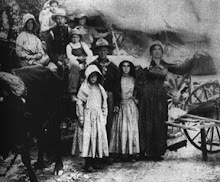 I thought it was important to realize that not all pioneers only traveled from Missiouri, Ohio or other Eastern States, but many were converted to the church and traveled from overseas. This story tells of the Church Emigration fund, and Louisa's family traveling first by boat and then on to Utah. Their travel took them 8 months to get there, with their fair share of challenges. Click on the picture and it will take you directly to the story. This is a cute little story about Mary Ann Payne that I found, and I know that you will enjoy reading about her. She is the top right photo. Click on the photo and it will direct you to the link that has the story. Enjoy! Click on the picture of Margaret and you will be taken to the link that you can read about her. 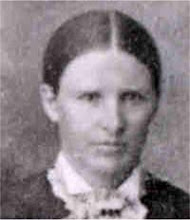 This is a short story of a non-Utah Pioneer woman, who was taken by the indians as a little girl, and to read the rest of the story, you will have to click on the picture and it will take you to the link you need. 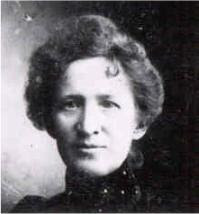 The life of this marvelous Pioneer woman can be found by clicking on the photo which will take you directly to the link. 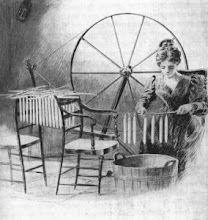 This woman is classic Mormon History as her story tells of her being apart of so many of the historical accounts in Nauvoo, Hauns Mill, handcart pioneers, and so much more. I found her story so interesting that I couldn't stop reading until it reached the end. It was also interesting to me that she was given 3 Patriarical blessings in her lifetime, and she was truely a wonderful woman. I know you will enjoy reading about her as I did. Love, Katie G.
Since all of us cook, I thought it might be interesting to find out what Pioneer Women cooked, how they did it and recipes they used. 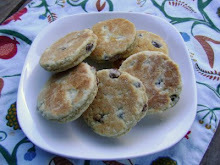 I found quite a few recipes, but I would like to open this one up to you and if you have any authentic pioneer recipes, please send them to me and I will add them to this post. My email is just to the right of this page. I was also thinking that if you were to copy some of these recipes and print them off, that might be a fun handout for the Sisters you Visit Teach! Sorry I am so late posting this story, but click on the photo and it will take you to the link where her story will be told. I had to post about someone very special to me on this day. 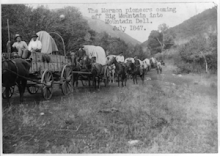 I chose one of my ancestors whose trek took her with the other ill fated pioneers of the Martin Handcart Company. I could not locate her photo, so I substituted one of her son's wives photos. Click on the photo and it will take you to the account given by two of her sons, of what she and her family dealt with after joining the church. 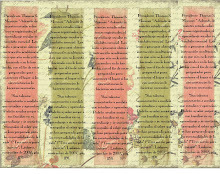 You can find the posting of a marvelous Pioneer woman, whom I have chosen to spotlight on my other blog that is located at http://visitingteachingsurprise.blogspot.com/ and just click on the link and it will take you there! I hope you are having some good Pioneer fun! Did you think I forgot? Actually my life became so hectic today, that I am just getting some time to make my first Pioneer woman post. I hope you will enjoy reading about these marvelous women who came before us. I hope that you can feel their courage and understand that we too have a purpose for living in our generation. We are the generation that lives to prepare for the second coming of Christ,though none of us know when that will be.... and with that I will just say... Keep your wagons rolling along in good works, do your Visiting Teaching, strengthen your sisters through your testimony and determination to get your visiting Teaching done. Click on the photo and it will take you to the link where you can read about our Anne, who is most likely the woman in the middle front of the photo, holding the baby. For many years, I have been creating very cute and fun things to take to the ladies I Visit Teach. I have shared from time to time, my ideas with others and they have really appreciated them. I decided that since I do these anyway, I would start doing one every month and then post it on this blog to share with anyone for their Visiting Teaching. I do need to make a disclaimer.... the ideas, thoughts, stories, graphics etc. used are created by me and they are not in any way official LDS Church quotes, handouts or ideas. They are my creations or others as noted, except for the quotes that will come directly from the Monthly Visiting Teaching message found in the Ensign. Also, many thanks to the talented designers of the digital paper and elements that I use to create the beautiful artwork, and handouts you see on my blog. You can go to http://www.lds.org/ and look up and even print the monthly message if you do not have your own Ensign magazine subscription in English or to choose to read the Liahona or Ensign in a different language go to http://lds.org/ldsorg/v/index.jsp?vgnextoid=03103c7ff44f2010VgnVCM1000001f5e340aRCRD&locale=0. I highly recommend you get your own subscription because you will find a wealth of really good & wholesome, moral reading, that you can't find anywhere else. If you go to http://www.lds.org/ and click on "Gospel Library" then click on "Magazines" you can order your own Ensign, Liahona, New Era, or Friend magazines. When you click on the pictures or ideas that I have on my site for you to download, sometimes the picture ends up really large. What you need to do to size it is to go to the "page button" then click on zoom. Take it down to 50% and that should fit better on your screen for viewing . Also, if you right click "save picture as" then save it to a file on your computer, you can size it using your own desktop publishing program and then print it off with my compliments! Enjoy! "The Hearts of Angels" dinner & program. Click on the picture and it will take you to where you can find the entire program written out. Once you get to the site which is my Visiting teaching surprise, make sure to scroll down a ways because there are alot of other great ideas, printables and handoust before you will find this wonderful "Angelic' program. Enjoy! I have also been enrichment leader from time to time as well as have been asked to do many projects for Enrichments. I am not sure if anyone would be interested in some of my ideas, but if you are, please leave me a comment and I will respond. One thing that relates to Visiting Teaching that I wanted to share is something I have taught for many years, and in fact my Daughter in her Park City ward just used this idea in their Super Saturday last week for the second time. It is Glass etching and it is really pretty easy and turns out to be a great project. The etching I do is etching glass casserole or platters with the name of the person who will receive this gift or for whomever is signed up for the class. I have given etched casserole dishes as wedding gifts and have taken many casseroles, rolls, cakes, and all kinds of goodies to people, and always get my dish back, because it has my name etched in it. Go to http://visitingteachingsurprise.blogspot.com/ to get instructions. This is an email I received from a wonderful sister as well as a new Relief Society President about an idea that they will be doing as a theme for their activities for this year. (if you have a great idea to share, please email me at katie1956gauger@mindspring.com and we can add it to all the other terriffic ideas! I just found your blog. It is so great. I love the idea of the Hearts of Angels. I am trying to figure out how we can use it for our VT conference and incorporate some of the things for our VT interviews. I am a new R/S president and all these things we have to do throughout the year are a little overwhelming. I love all of you ideas. So much work involved, thank you for being willing to share with all of us! I would love anything else you could pass my way. WE had the thought earlier to use a theme of "Returning to the past" for our activities this year. So all of your old-fashioned pictures will be great to use as invites and handouts. You might be interested in the idea we had for our B-Day dinner. We always have a progressive dinner in December to the homes of different sisters. We divide them up into about 5 smaller groups and go around to the different sisters homes in the ward. Because of the weather we cancelled it and had it at the church. We decided to do it for our B-Day dinner instead when the weather would be better. We are having the women bring a sack lunch with them and to wear something old, like a grandmothers broach or shawl, or to dress up in the time of the 1800's, and to bring a pint jar with a lid. We will have the sisters make lemonade at the first house and take with them in the jar that they brought, and then go to the next house. At the last house we will have and old fashioned cake to serve like apple walnut cake or something like that. We still have some details to work out but at the end each member of the presidency will be at a different home and will share a prepared script. It will be written as if they were at the very first R/S meeting when the prophet Joseph Smith organized the R/S with just a handful of women. Anyway, thank you for sharing what you have! You have a great talent! Gardening with Kids has great tips on getting kids started with gardening. Give your child some space; literally! Kids loving having spaces that are all their own, whether it`s their own desk area in the house, or the tent they've created with chairs and blankets in the family room. The same is true for gardening. Dedicate a small plot of the garden just for them. Put a fancy border around it, perhaps purchase one of the stepping stone making kits found at crafts stores in which they can mold their name and make their hand print. Let them join you at the nursery. Let your kids know you value their opinion. Ask them which kinds of plants, flowers, and vegetables they like. Explain what will work well in your garden and what won't. Give them (limited) choices. While you're at the nursery, ask them if they'd like pansies or petunias, marigolds or zinnias. This will give them the feeling of power without letting it get out of control. Remind them money doesn't grow on trees. With older children discuss the budget. Let them help select seeds and blossoming plants at the nursery - and turn it into a math lesson. Let your child do the money calculations; they can tell you when the money runs out. Let your child do what he will (especially if you have a preschooler). Let him dig, explore, play with bugs. You may be tempted to steer your child in another direction (like actually watering or weeding his garden), but this is a great way for your child to explore this exciting new universe. Plan, plan, plan. If you have older children, say 8 or 9 or older, let them plot out their own garden on paper. Provide him or her with graph paper, pencils and seed catalogs. Give them a group of flowers and vegetables from which to choose, and then let them draw out their garden. Get them their own gardening tools. Nothing will motivate your little gardener more than having her own little shovel, her own gardening gloves, and her own watering pail. And don't forget those bright colored rubber boots. You need to go to the site and explore all the rest of the links and ideas. so you cannot hear our MP3 files. Please download the Adobe Flash player to hear them. 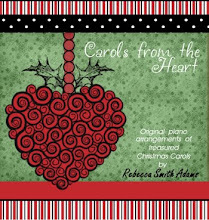 This "JUST RELEASED" CD contains the most beautiful and refreshing piano arrangements of 12 best loved Christmas Carols arranged and played by Rebecca Smith Adams. To purchase and hear more music clips, click on CD cover below. If you have any comments, ideas, tips or whatever to contribute, please comment or email me at ktgauger@gmail.com Thanks for dropping by! I will REJECT comments sent to me by individuals whose sole purpose is to direct my followers to your business. This is deceptive, and I will have no part of it. I do accept comments from readers who are actually commenting about my posts. 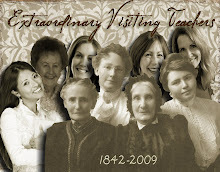 Join the ranks of the millions of LDS women committed to Visiting Teaching. Visit and sign up on Facebook and be a part of the discussions, idea sharing, stories and suggestions that other sisters all around the world are making about Visiting Teaching. This is just for fun and to see how many women from all around the world are making the difference in the lives of those that they Visit teach. GeneaBloggers spotlights my new blog. 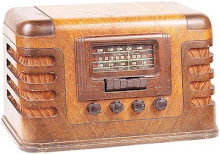 Genabloggers highlitghts new genealogy related blogs. This week mine is listed. It has a short bio of me as well on it and how I got started blogging and such if you ever wanted to know. Click on the photo and you will be magically transported there. Scroll down the list as I am toward the bottom. Whats on Mormon Chanel Radio Right now? - Needing help with Addiction? LDS Images, clip art, and photos. Mormon share - great resources! The following links are to Relief Society blogs that are loaded with great ideas to share. Please email your Relief Society link to ktgauger@gmail.com and I will add it to our ever growing Relief Society resourse list. The Glory of God is Intelligence - The following are free links to literacy. Enjoy! Distance learning courses listed on "About.com"
LDS Musicians sites, and other info. Links to beautiful Christmas and and other FREE sheet music to use in Church settings. Celestial Visiting Teaching Skit by Mary C.
Who is Visiting this site on Visiting Teaching??? 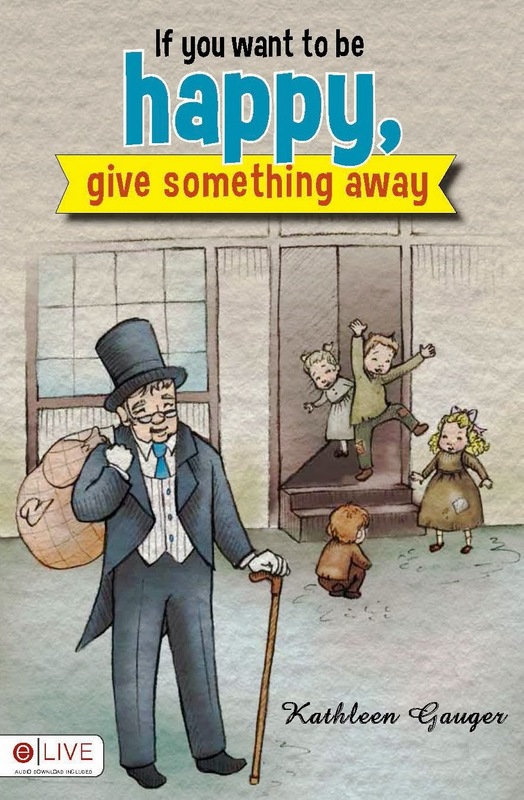 Old Gentleman Gray story pages by Katie G.
Thanksgiving gift ideas and more. The blessings of God on our labors we’ll seek. We’ll comfort the weary and strengthen the weak. To cheer and to bless in humanity’s name. If you have a great idea, terriffic quote, poem, skit, or experience that is special to you with regard to Visiting Teaching and you would like to share, please submit it in the comment section. I will go through all comments and add the best ones to my blog . I would love to give you credit for your quote, so make sure to sign your first name and last initial. That is all it takes to be famous on my blog! For a great idea, go to: http://www.defordmusic.com/mysistershands.htm and download the music for free called "My Sisters Hands". The lyrics are also printed on that page. This is a theme I have used in the past for Visiting teaching interviews, but you could use it for whatever. We made hand shaped sugar cookies, glazed them in white like a glove and placed a tiny pink glazed heart sugar cookie on top of the hand. This was their thank-you for coming to the interviews. Really cute idea for this purpose or for a gift for your sisters you teach! Thoughts, ideas, tips and such are of my own creation, unless otherwise noted in links and quotes, etc. If I use an idea that I did not come up with myself, I have added a link to the originator for proper credit or included their name or site or blog.